You are here: Home / e-Reader News / How does the Kobo Aura One Handle PDF Files? The brand new Kobo Aura One is now available and many people are wondering how it handles PDF files. Sadly, the rendering engine really struggles with both large and small files. One of the drawbacks of the Aura One is the PDF experience. Anything that relies on pinching and zooming is lackluster. It takes at least five to seven seconds for the page to fully render. I would recommend this reader to anyone that is reading content that does not require zooming. So it is ideal for comics, e-books, manga and web-comics. Anything technical or overly reliant on CSS elements might turn off some users. Memo to readers: If you’re holding off buying an Aura One based upon poor PDF support, fuhgittabowtit. KoReader will have your back and it seems to solve all PDF problems; at least all that I had on an H2O (and PaperWhite 1). It looks like complete Aura One support isn’t quite here but the KoReader developer is very active and it should be coming soon. Here’s a discussion of it http://www.mobileread.com/forums/showthread.php?t=278126 After having experienced KoReader on a variety of Kindle and Kobo devices, I’d have complete confidence in this as a solution. Memo to Good d-Reader: Not quite certain why you haven’t yet reviewed KoReader but you’d be doing your readers a valuable service if you did. It’s free, trivial to install and it’s very good. Less helpful on a Kobo than a Kindle, perhaps, (since many features native to Kobo but missing from Kindle are present on it) but it’s still valuable. Night mode (reversed text), multi-column landscape support, and (of course) PDF features (such as an excellent text reflow) are examples of its usefulness. You need to be handy with a solder gun or have an older Kindle firmware to use it on an Amazon device. And, no, I’m associated with neither Kobo nor KoReader. Nor (God-forbid) Amazon and (with all due respect) that weird bald dude who looks like some type of space-alien. BTW, for Americans, ever notice how Yankees use the term “with all due respect” while Southerners use the term “bless his heart” right before they say something brutally truthful?? It’s a cultural thing, apparently. Good morning, there is a built-in browser with that ereader? Yeah, it is buried in the settings menu, its called Beta Browser. thanks! Does it is possible to have a video about it? Agreed. Have heard about KoReader but not sure how to install. 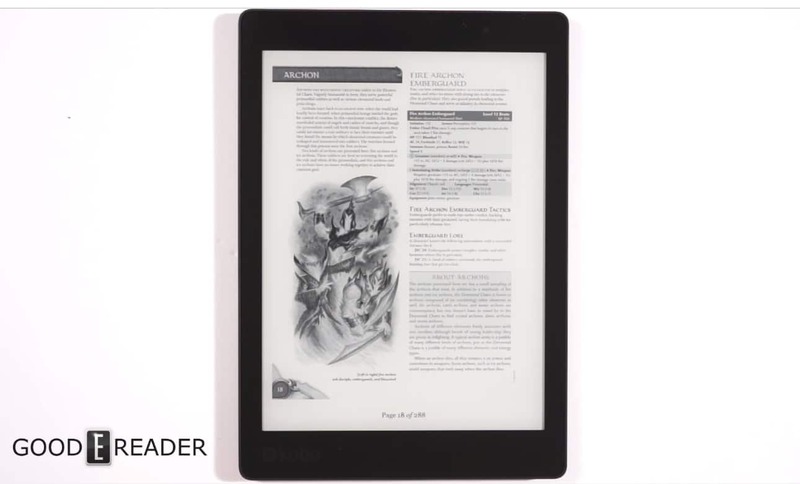 A review of KoReader, especially on the new Aura One, which has a larger screen which some may purchase specifically for PDFs, would be really useful. Amazing……. and I thought my Kindle was bad! How come neither Amazon nor Kobo is willing/able to give us decent .pdf support? Are those CPUs so weak or do they sabotage .pdf support deliberately? And while they ‘re at it…. how about a -halfway- usable browser – the kind that does not make you want to bite your e-reader in frustration? No, I do not expect video, just halfway sensible zooming, re-flowing etc. Come-on… we are talking €200 and over here! What about the KOReader app? How does it handle PDFs on the Aura One? I use Koreader for pdf and djvu, it is much better handles PDF on Kobo and Kindles. It is already compatible with Kobo Aura One 🙂 Use it.